Has Meghan Markle’s right hand aid called it quits? According to a new report from the Daily Mail, the Duchess of Sussex’s personal assistant has resigned just six months after Meghan officially joined the royal family. The decision to leave came as “a real shock” according to the publication’s source. A Palace source reportedly told the Daily Mail that Meghan’s assistant, who was identified as “Melissa,” played a “pivotal role” in Meghan and Harry’s royal wedding back in May. The source also shared that the key staffer had to deal with Meghan’s father, Thomas Markle, creating family drama before and after the big day. There’s no word as to why one of the 37-year-old’s key staff members decided to quit. Kensington Palace has not commented on the reported departure. The new report comes just a few weeks after Meghan and Harry announced they are expecting their first kiddo together. 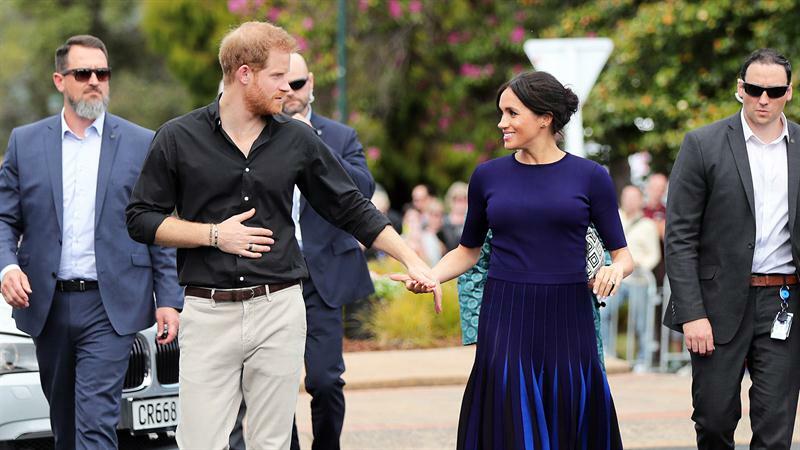 Their little bundle of joy is due in the spring – and the new royal addition will be just behind Harry in the line of succession to the British throne.